The idea for this day is flying to Paris from Girona airport, where we shouldn’t be later tan 10:30h. 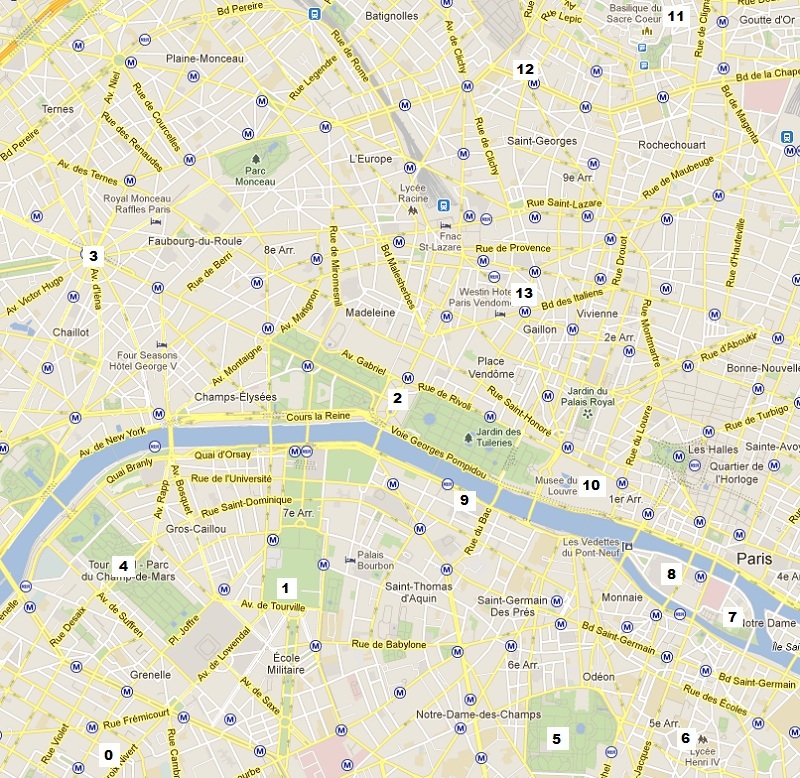 Once settled on our hotel, the visits for today would be just a walk to The Invalides and then to Arc de Triomphe. We could see Rodin Museum and Concorde Square on our way. We arrive to Beauvais airport with no problems. We’ve eaten our sandwiches in the plane so we’re done for the lunch at 13:30h and ready to take the bus to Paris. We purchase the tickets at a box close to the airport exit by 13€ per person. If we add the tickets we must buy for returning to this airport, the bus is more expensive than the plane. One hour later we’re going into this big city and have the first views of Eiffel Tower. I’m shocked about that metallic red color I can see on it from this distance. When we’re delivered in a small park close to Charles de Gaulle metro station is going to be 15:00h and we cannot do anything else but going on with our trip until the hotel. Line 6 (soft green) will help us on that: 8 stations until Cambronne, with no line changes. We don’t buy a regular ticket for that, instead I show two fingers to the woman in the box and say “du mobilis” and get my cards for using all public transport in city the whole day by 5,40€ each. Our destination station is not underground, but on a platform over a big roundabout with six exits. Which of these should we take?. As we cannot identify where is North or South, we must walk along the circle checking the names of the streets starting (or ending) there until finding the hotel’s one: Rue de la Croix Nivert. From there to hotel is about 200m. This is the way we arrive to Hotel Eiffel Cambronne. It looks simple and small from the street, compressed between two bigger buildings. A tiny reception desk and a narrow elevator help us to get our room. Is not big but, as far as I could read, is bigger than the standard of this city. The best is outside, though. A small balcony over the street we were few minutes ago let us have a view of some of the roofs nearby and, overall, the bright golden dome of The Invalides, which is clearly an extra. We rest a little bit at room before leaving for today’s visits some minutes before 17h. We start walking to Les Invalides, which dome showed us the way from our room. Once taken the correct street on the big roundabout below the metro station we get the military school, which makes a wonderful picture with the top of the Eiffel Tower at the bottom and its classic architecture. 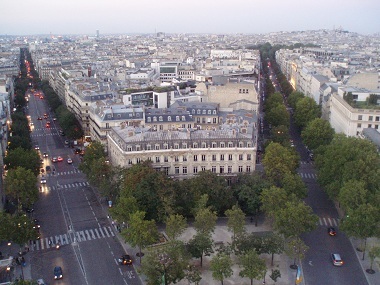 The street dies in an open area where the impressive building of Les Invalides appears in diagonal across the street. We look this façade and its door but it is not still time to go into it as Museum Rodin is just one block further and is going to be our first visit in Paris. One sign pointing the right direction is remind us that. We go to the other side of the street, at the far right if being in front of Les Invalides, to get the modern entrance to the museum and, after paying one euro per person, we go into what seems to be the gardens of a mansion, which is there too. This museum is this: a nice environment with bronze sculptures around, which makes this visit a very gentle one. I find the famous “Thinker” in the top of a high pedestal, rounded by well pruned cypresses, although I find it again in one hall inside the building. It seems this sculpture is far from being unique as Rodin made some of them. Few minutes before 18h we’re looking the place to purchase the tickets for visiting Les Invalides and find it in a building at left. We pay 6€ each, as it is the price for the reduced tickets due to the late time, and go into it to watch the sarcophagus of the most remarkable military men of this country, emphasizing – obviously -, the one belonging to Napoleon Bonaparte, sited in the center, just under the beautiful dome. You can find several statues here, some as part of tombs and some apart of them. At the interior of Les Invalides you can see prized stones as marble or granite everywhere. There are Napoleon’s objects and clothes too. The ticket give access to the Army Museum too so we continue our visit to here to walk between old canyons. We’re alone on these halls we’re going across until reaching the exit of the complex. In front, we can see the pillars with golden angels previous to Alexander III bridge and, behind it, the Grand and Petit Palais. We drive our feet over there following a path across the well conserved grass until get into the mundane traffic of the city. But at this moment, we want to rest for a while and chose a table outside one of the Paris typical Café. 2,5€ for one coffee! This must be the price for tourists and, comparing later with other places, it is indeed, although the difference is not that much as one can think.  Paris is an expensive city and the prices at bars keep a big distance with ours. We go on our walk through the beautiful bridge over river Seine, which opens the city space free of buildings letting us enjoy wonderful views. I don’t know if it’s allowed to get into Grand or Petit Palais or not, but if it is, it is not that basic as open door and go in. On despite of that, they’re offering good pictures from the street. We go right from these palaces, out of our way to Champs Elysée at left, just for being on Concorde Square. On this square you can see a white big wheel – well, not that big – but you’ll probably will focus on the beautiful Egyptian obelisk in front of it, with a very bright golden pyramid at the top. I wonder what they do with the golden objects in this city for reaching such a bright. I guess they’re not even close of being made in gold, not even the exterior layer, as I see difficult keeping things like these in the street for long. We look at Champs Elysée from its very beginning and can see, at horizon, the silhouette of Arc de Triomphe over the sky. But is too far as per going to there by walking all the way, so it is moment to taking profit of our Mobilis cards. We go to the first bus stop we can see going up to the avenue and get into the first bus stopping there, it’s route 42. Two routes are stopping there and we find out soon one makes all the way to the Arch and the other takes another street off the Champs Elysée at half the way. Obviously we’re on this second one, so we must walk the rest of the way. The route 73 had done the work. It is a broad street and, at this level of it, the sides of it are full of fashion shops and fancy restaurants and bars with well-dressed people occupying their outside. Somehow, we’re paying more attention to the Arc de Triomphe, which we know is close although we cannot see it because of the trees bordering the sidewalk. If we take the head off this line, we can see the impressive monument there, close to us. But it is not reachable as it is in the middle of the bigger roundabout I’ve seen in my whole life: the circle has eight lines of cars as it server to the same number of big avenues. Actually, there are four big avenues crossing at this point. Then what? You must look for the underpasses as the only way of reaching the Arch. These ways are full of souvenirs vendors. Arc de Triomphe is more impressive when closer, with all its carving and inscriptions but, overall, because its size. There is a tomb for the Unknown Soldier here too. Ticket is 8€ each and we take them knowing this si the best moment to be here. The time when we’re going to be able of enjoying the views at daylight, at sunset and at night within the same hour. And 360º! Both “legs” have a spiral staircase on them; one of them is only for going up and the other for coming back down. Up inside there is a big hall with models and information but the reason for coming here is upstairs, in its large terrace to whole Paris. A fantastic place where finish this day which is hard to believe we started at Barcelona. We already know the way back to our hotel as it is basically the same we did the first time, as the place we’ve been delivered by Ryanair bus is close to here. We get some fruit in a store close to the hotel and dinner resting in our room.